U.S. 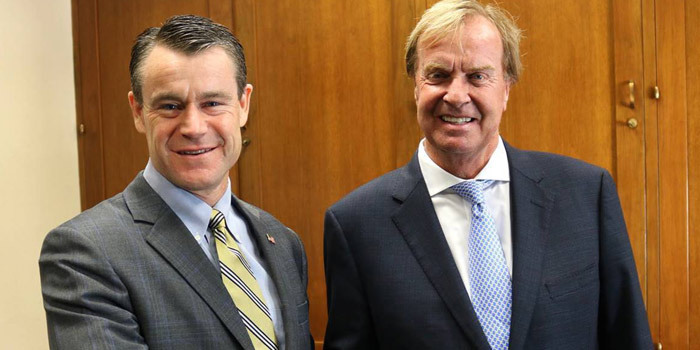 Senator Todd Young congratulates Kip Tom, Leesburg, on his confirmation as ambassador and U.S. Representative to the United Nations Agencies for Food and Agriculture. WASHINGTON, D.C. — U.S. Senator Todd Young (R-Ind.) issued a statement today, Friday, April 12, congratulating Kip Tom of Leesburg on being confirmed to serve as ambassador and U.S. Representative to the United Nations Agencies for Food and Agriculture in Rome, Italy. Tom was confirmed by the full Senate Thursday evening. “I’m honored that the president nominated me to serve our nation, administration, working with the United Nations, working on global food security … complex situation feed 90 million people in 80 different countries, same time facilitate capacity and resilience,” stated Tom Friday afternoon. Young also introduced Tom during his first confirmation hearing before the Senate Foreign Relations Committee last summer. He was unanimously voted out of the Senate Foreign Relations Committee twice before his final confirmation by the full Senate Thursday night.